Posted on: January 9, 2017 By: Christopher Brown, Esq. Traffic violations are a fairly common occurrence and many of them are straightforward. With today’s traffic cameras, violations have gone more high-tech, and an officer doesn’t even need to be present in order for a driver to earn a ticket. Most people simply pay the ticket and move on, or go to traffic school if that is an option for the violation; but there are situations when a traffic attorney’s assistance is valuable or even vital. Those cases may be more common than you realize. Do you need to hire an attorney to handle your ticket? Doing some research before you write a check will help you make the right call. Most non-serious traffic violations come with a fine attached and instructions for when you must either pay that fine or appear in court should you choose to dispute the ticket. Most drivers feel it is better to simply pay the ticket and move on, particularly if the situation seems simple – for example, if a red light camera running that light has photographed the driver. But in other cases – more than you would think – the fine is only the beginning of the fallout from a traffic violation. This is especially true with a more serious violation such as a DUI. 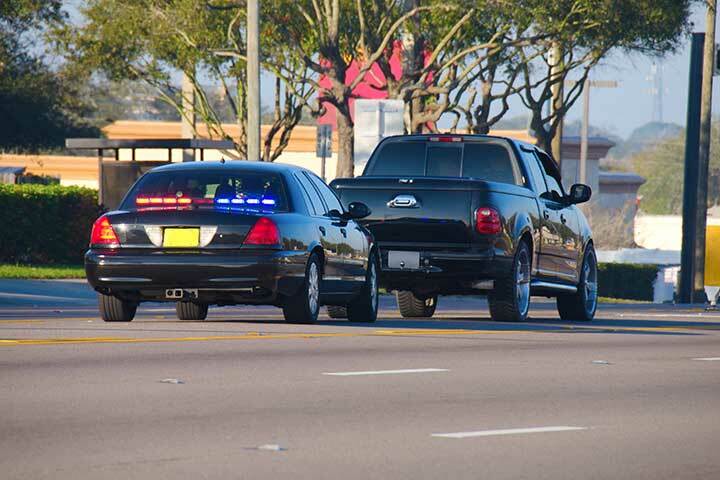 In addition to that fine on the ticket, a violation will also appear on your driving record. That means that your insurance company will find out when they run your record, and you can expect a hike in your rates. Insurance companies commonly charge increased premiums for a ticket for a period of three years. If, during that time period, you should receive another ticket, your premiums will climb even higher. Multiple tickets, or tickets combined with an accident on your record, can result in the insurance company non-renewing you – which means they have determined that you represent too high a risk, even with higher rates, and they will not insure you anymore. Since you cannot drive without insurance, you may be forced to obtain coverage with a high-risk company specializing in drivers with poor records. These companies offer basic coverage at painfully high rates. It is not just your wallet that is likely to suffer from a violation. Some tickets can result in your license being suspended. This is particularly true of DUI or DWI charges. Recent years have seen a serious crackdown on intoxicated driving, with lower legal limits, higher fines, and even automatic license suspensions. Some jurisdictions will impound your vehicle on the spot if you receive a DUI, and you will be responsible for the fees associated with the towing, impounding, and release of your vehicle. You may also run into problems with your employment, particularly if you lose your driving privileges. Finally, some serious violations can even result in jail time, probation, or other legal penalties. When it comes to a serious violation, you have to be prepared to face the charges effectively. Even what seems like a lesser violation may be worth disputing to avoid financial impact that goes beyond the initial fine. You have the right to dispute any traffic violation with which you have been charged; like any other charge against you, you can take the case to court. In some cases, you may be able to successfully dispute the ticket without the assistance of an attorney. This is usually true in simple cases where you can prove your innocence – such as a ticket on a vehicle you no longer own and can show evidence proving it was sold. Many traffic violation cases are not as simple but can still be successfully disputed. Even if you think you may have the ability to dispute the violation on your own, legal advice may be well worth the expenditure. Going into court alone can be a costly mistake in the long run, particularly in a situation where you face suspension of driving privileges. There are even some cases where you will have your case dismissed without having to fight it out in court. A good lawyer can assist you with understanding what conditions – such as the failure of the officer who issued the violation to appear in court – will result in dismissal and what your chances are of that occurring. Traffic attorneys bring experience and understanding of the law to the table to assist you with your approach to a violation charge. Even if you have not decided yet what to do about your violation, the advice of an attorney is a great place to start. Consulting with a traffic violation attorney can help you to understand what you are facing, including the potential consequences of accepting the ticket and allowing it to go onto your record. Even if you decide to dispute the ticket yourself, a consultation with an attorney will provide you with the information and advice you need to enter that courtroom with confidence. Most traffic attorneys will provide a consultation for a flat fee (some may offer free consultations) to help you understand your situation better and decide how best to approach it. This consultation may be the beginning of disputing your ticket, or it may convince you it is best to accept the fee. In most cases, however, the attorney will be able to assist you in the direction of successfully fighting the ticket. Hiring an attorney has the potential to result in a much better outcome for you than either paying the ticket or disputing it yourself. An experienced attorney who has worked in your local courts knows the judges and the prosecutors. Those connections can be a big help in the case of a serious violation where a plea bargain might be a possibility, or where there are multiple charges and it is possible to have one or more dropped with the efforts of a good lawyer. If you find yourself in court, an experienced attorney at your side will make sure that your defense is presented in an organized fashion. Traffic attorneys know which key points are most likely to make a difference in the outcome and how to present them effectively. They will also know all of the loopholes and legal terminology that surround your particular case, allowing them to speak the language of the courtroom and communicate effectively on your behalf. When you receive a violation, you do have some time to make a decision regarding how to approach it. The ticket should clearly outline how many days you have to either remit payment on the fine or until you are expected to appear in court. This gives you a little time to research your options. As with any professional assistance, it does matter whom you select to provide you with their services. Attorneys specialize, and when it comes to a traffic violation you need someone who has a lot of experience in your area. Do your research before you contact an attorney by getting referrals and reading reviews of the attorney’s services. Many years of experience as well as a good reputation are vital to hiring someone who can really help you. You may also need to look for someone with very specific experience. Some traffic attorneys do not deal with DUIs, while others focus on that area of the law. The more focused the attorney is on the type of violation you need to dispute, the more likely you will have success with the case. The initial consultation should help you decide two things – whether you need an attorney, and whether this is the attorney you should hire. A good lawyer will be honest with you regarding your odds of successfully fighting the violation on your own as well as what he or she can realistically expect to do on your behalf. Speaking to more than one lawyer might be necessary to determine whether or not you’re getting the straight story. Make sure to ask about consultation fees as well – an exorbitant fee may be a sign to look elsewhere. Be sure to get a clear picture of how the attorney charges and what fees you can expect to pay before you agree to hire anyone. Knowing what it will cost you to fight the violation versus the potential cost of the conviction is vital to making your decision. Whether or not you hire an attorney to fight your traffic violation depends on a number of factors, from the severity of the violation to the ultimate costs incurred. Hiring an attorney may increase your chances of a successful outcome, and for some violations legal fees are a small price to pay to avoid the long-term consequences of a conviction. Traffic violations may seem minor compared to other charges, but they can have far-reaching consequences that can affect your life. Before you accept a violation, be sure you have the right legal advice to avoid an impact on your life that could be more than just financial. Contact The Brown Firm PLLC today for more information.